The group of student athletes from the William Floyd High School Class of 2019 who will play sports in college pictured with Hans Wiederkehr, interim athletic director. 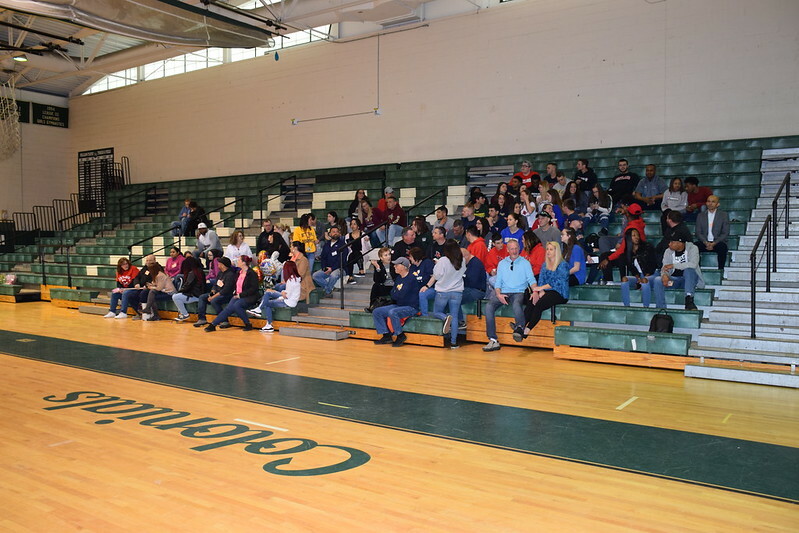 The William Floyd Athletic Department recently held its annual spring signing day ceremony on Friday, April 12, for 30 senior student-athletes who will compete in athletics next year at the collegiate level. Family members, friends and coaches, gathered in the John Pidgeon Gymnasium to celebrate their accomplishments. “I would like to congratulate all of our student-athletes who are moving on to the next level and will be competing both on the field and off,” said Hans Wiederkehr, interim athletic director, William Floyd School District. “Playing in college is very challenging but I know through your hard work, you have already built a great foundation,” he said. Mr. Wiederkehr also acknowledged the parents who have been on the journey with their children from the very beginning and have played a key role in helping them achieve their goals. He expressed similar sentiments to the coaches for their hard work, dedication and guidance throughout the years. The following William Floyd student athletes have committed to participate in college athletics next fall and don’t miss the signing day photo album below!